This post is brought to you by iLoveToCreate and Blueprint Social. These opinions are my own. Well if you have ever met us or spent any time on our website, you know that we tie-dye A LOT. 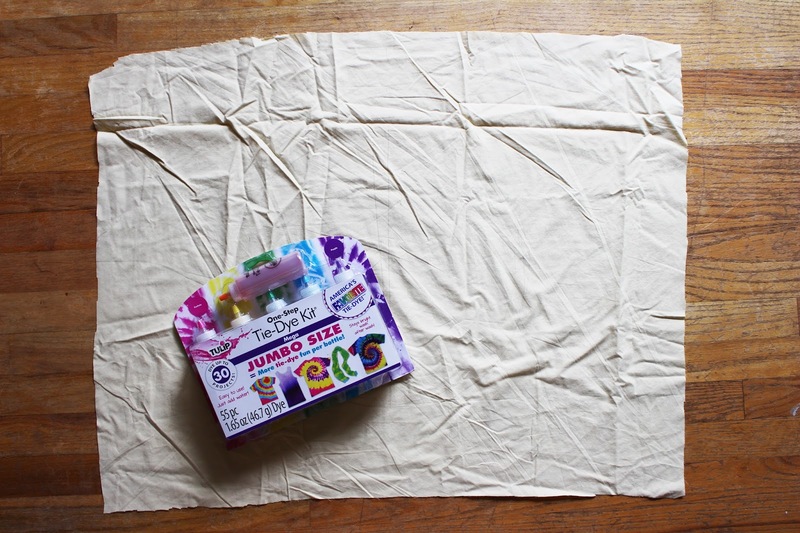 Today we are working with iLoveToCreate on their Tie-Dye Your Summer campaign to show you how easy and fun tie-dying can be, especially when using the Tulip® One-Step Tie-Dye Kit®. Today we are sharing with you one of our favorite techniques that we use most often. It is very simple! You will need your Tie-Dye Kit and a small piece of fabric. Your fabric can be any size you want. In your kit you will find rubber bands, gloves and a variety of dye colors. 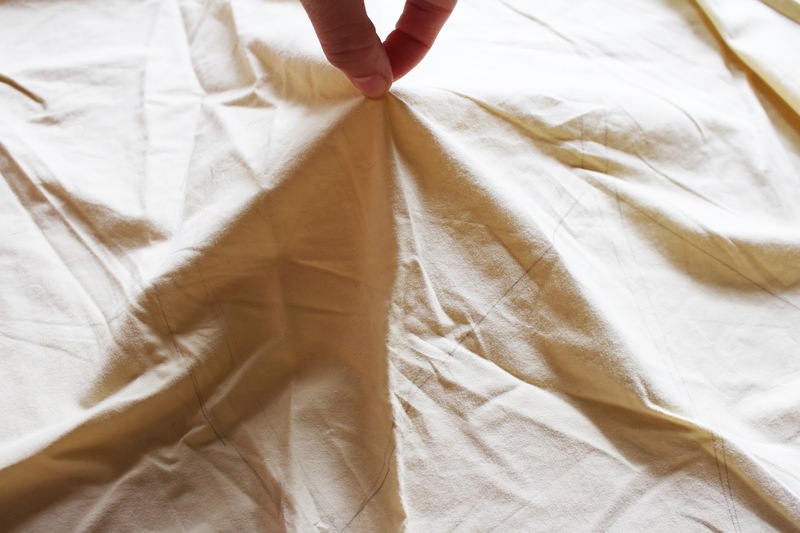 Pinch your fabric in the very center and pull upward. Gather the fabric together and tie a rubber band around it. This does not need to be perfect. Each piece will always be a little different, but that is the beauty of it! 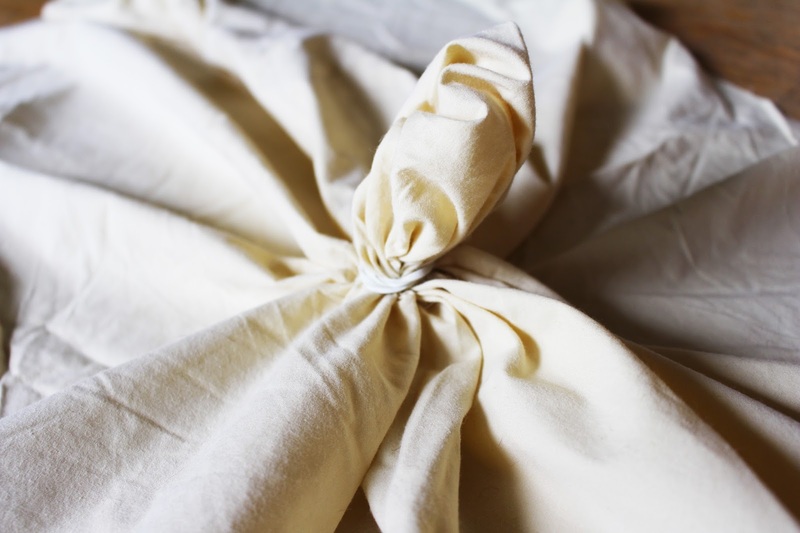 Continue to tie rubber bands down the gathered fabric until desired amount is reached. You do not need many to create the effect we are going for. Put on a pair of gloves and prepare your dye according to the package instructions. (You just add water and shake.) I first dip my fabric in water so that the dye will seep in quicker. 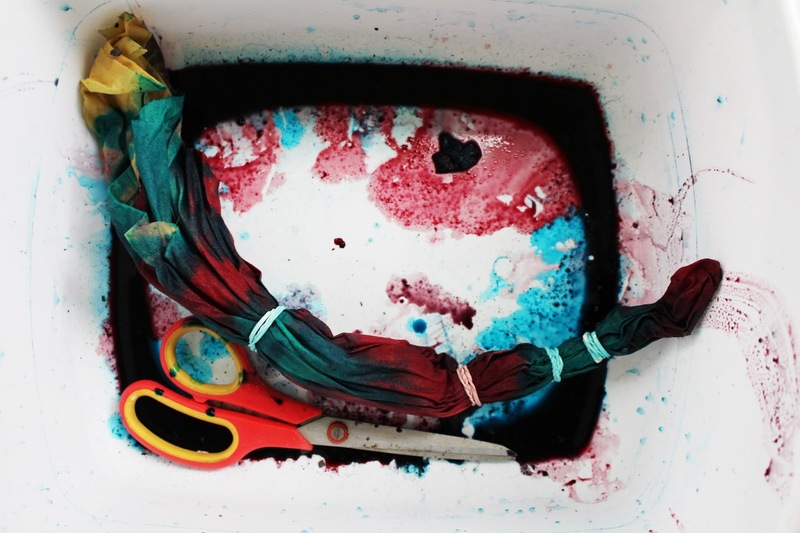 Squeeze your dye onto the fabric. Here I alternated two colors until I had covered the whole piece of fabric. I also turned the fabric over to make sure the underside was covered in dye too. I ended up letting my fabric sit for about 6 hours, then I removed the rubber bands and rinsed the fabric. We loved how the colors turned out. The fabric was a pale yellow color to begin with so the colors are a little more muted. 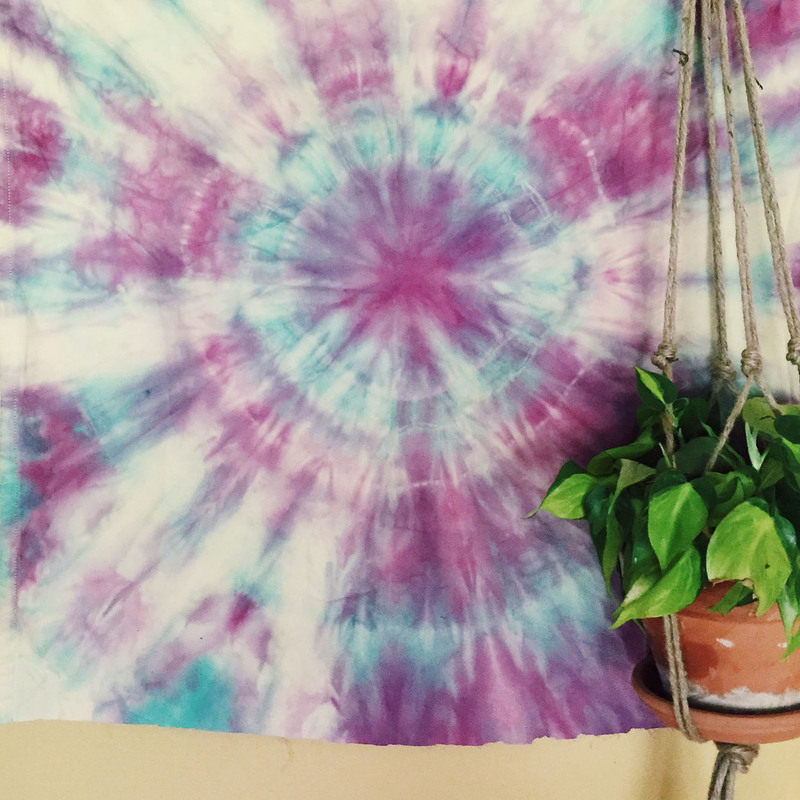 We hung our tie-dyed fabric as a tapestry and love the fun it adds to a space! For more tie-dye ideas and projects, follow iLoveToCreate on social media! Love the colors! 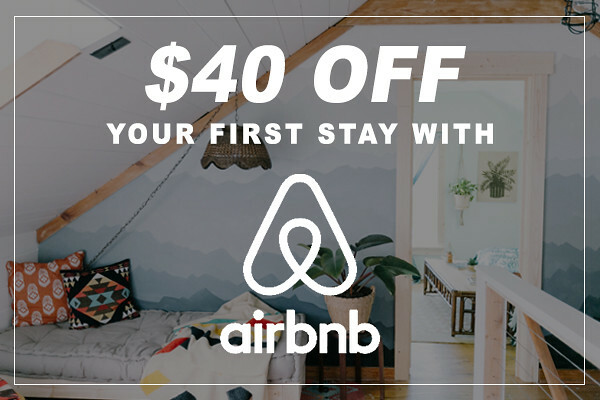 What a great way to add interest to a room.